Habitat: Naturalised introduction on disturbed and waste ground, gardens, pavements and arable land. Most frequent in central, S and E England. 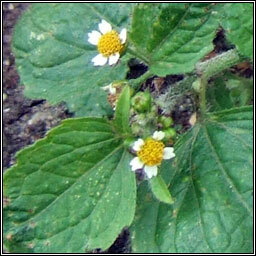 Small white flowers with three-toothed rays and golden-yellow centres. 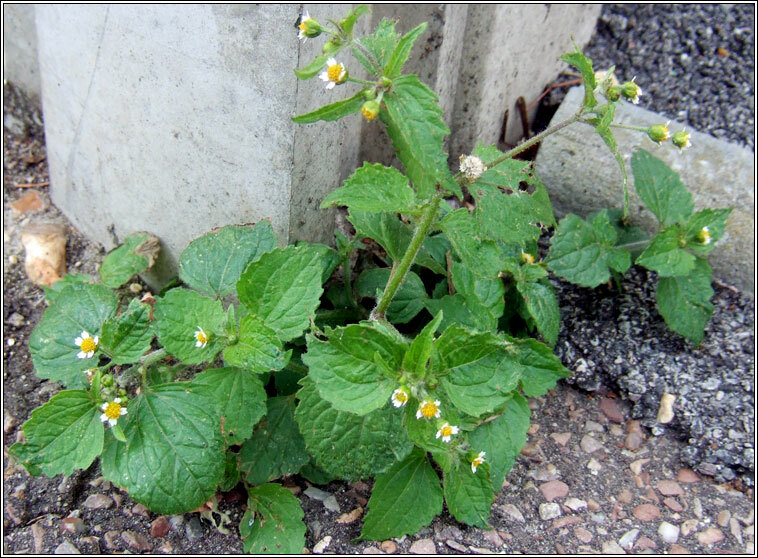 The stems are branched and usually erect with short-stalked, toothed, oval, +/- hairy leaves. Height to 70cm but often smaller.